For Into the Woods from Return of the Jedi, and other pieces. 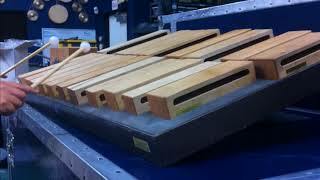 Quick demo of chromatically tuned wood blocks. Note that mallet choice will have a definite impact on timbre.